When a loved one gets arrested, most people are unfamiliar with how to help them get out of jail. At Ajua Bail Bonds, we understand that the process of a bail bond may be unfamiliar to you and we are honored to walk you through the process and meet all of your bail bond needs. Our bail bondsmen are experienced, empathetic and reliable. When you are in need of a helpful and discreet bail bondsman, call us and speak with a live bail bondsman anytime. We offer fast release of your loved ones and are available 24/7 because we understand that time is of the essence and situations arise when you least expect them. No bail is ever too big or too small for Ajua Bail Bonds to handle in Fresno, Madera, Kings or Tulare County in the Central Valley, California. Contact us whenever you need fast, efficient and confidential bail bond services! Quickly get out of jail with bail bonds from our knowledgeable bail bond company. 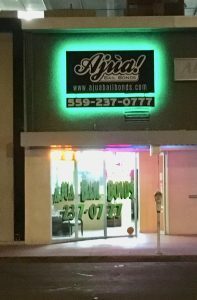 Ajua Bail Bonds is the most experienced and connected bonding company in Fresno California. We work closely with you to ensure a smooth process before, during and after release. We are well known and connected with the Jails, Substations, Correction Centers, Courthouses and Attorneys in Fresno, Madera, Kings and Tulare Counties. Ajua Bail Bonds is dedicated to providing you with quality, confidential, and speedy services for criminal, traffic, and immigration bonds. Contact us to take advantage of our vast bail bond experience – and we also offer notary public services. We pride ourselves on providing more than just bail bonds; we also educate and assist our clients with the entire legal process from assistance with bail review hearings to legal services from our many alliances with prominent attorneys in the state of California. Our experience, knowledge and resources consistently deliver unparalleled results for our satisfied clients. You can reach us at (559) 237-0777 with any questions or concerns 24-hours a day. Emergency 24 Hour Bail Bonds Company offering Legal & Mobile Notary Services. Ajua have Licensed Bail Bondsmen in Fresno, Madera, Kings & Tulare County of Central Valley California ready to Offer Free Consultations, Military Bail Bonds, Flexible Payment Plans, Rebates Financing on Approved Credit and Get you or your Loved Ones out of Jail Fast!